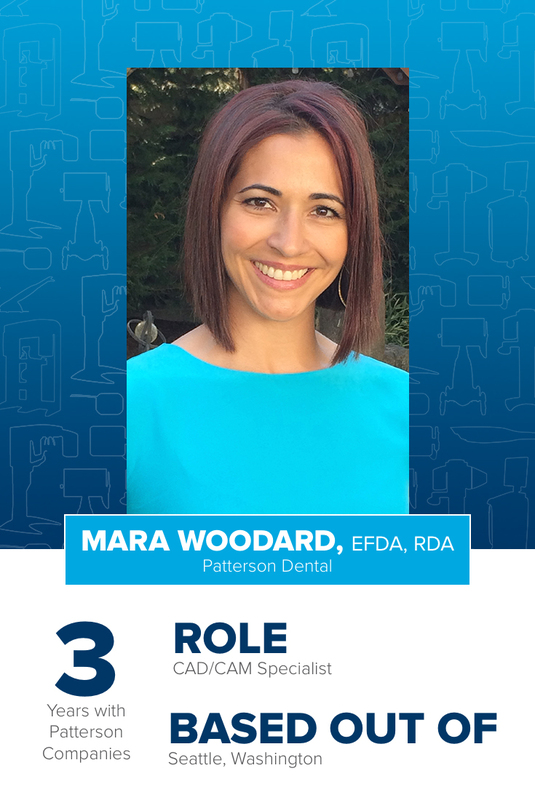 As technology continues to play a bigger and bigger role in modern dentistry, it’s more important than ever to select a confident, capable partner that will fully support your practice in choosing, installing, onboarding, and continuing to maximize the investments you make in technology. In a previous post we talked about the perks of partnering with Patterson through the lens of some amazing folks based out of the Patterson Technology Center (PTC) in Illinois. Today, we’re taking a page out of Simon Sinek’s book. Sinek believes that “customers will never love a company until the employees love it first,” and we couldn’t agree more! 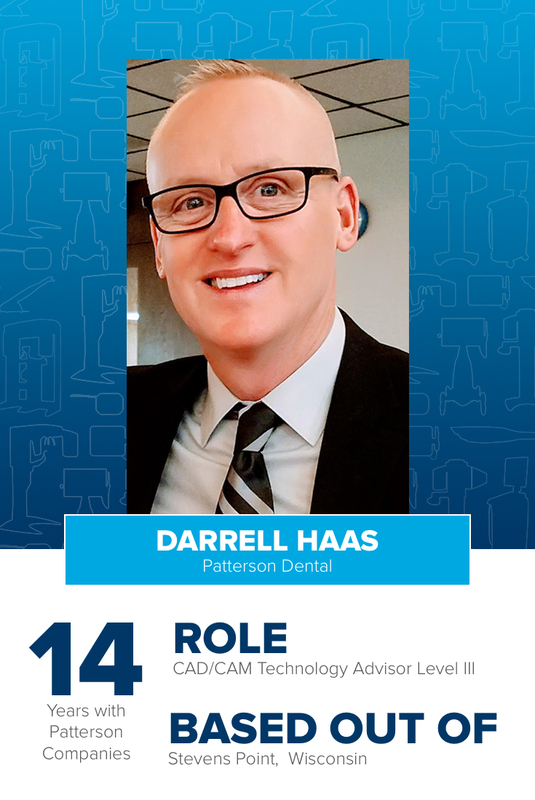 We interviewed 6 proud Pattersonians from around the United States who specialize in CAD/CAM technology, and whose combined experience with our company totals over FOUR DECADES. 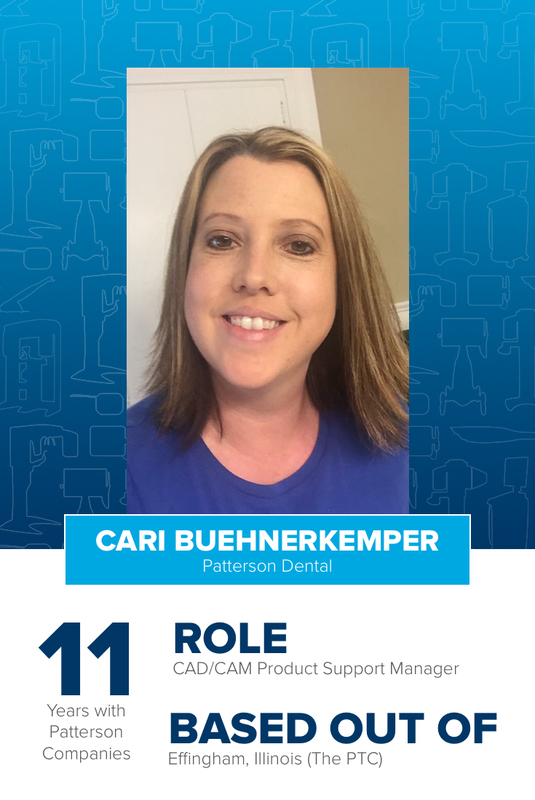 We asked them what they love about their jobs, what gets them excited about interacting with customers like you each and every day, and ~perhaps most importantly~ we asked each of these catalysts of CAD/CAM to share a technology-related tip‼ Though they work in different zip codes and time zones, you’ll notice some very consistent themes emerge…enjoy! 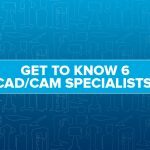 What’s a CAD/CAM-related tip or piece of advice you would offer customers? Get your staff involved with the technology!!! They take pride and ownership in having a thorough knowledge of the technology and assisting with delivering a great product to the patient! Invest in yourself and your staff by participating in advanced CAD/CAM educational opportunities. You will discover more and more ways to utilize the technology and increase your return on investment. The relationships that I have with my customers. Generally, the sales cycle can be quite lengthy and we invest a lot of time getting to know the doctor and the practice to find which CAD/CAM solution is best for their particular situation. I also like seeing how much of an impact this technology has on their practice and its ability to offer a great patient experience. I especially love it when they tell me they couldn’t practice without this technology! What’s the best way for customers to reach you? 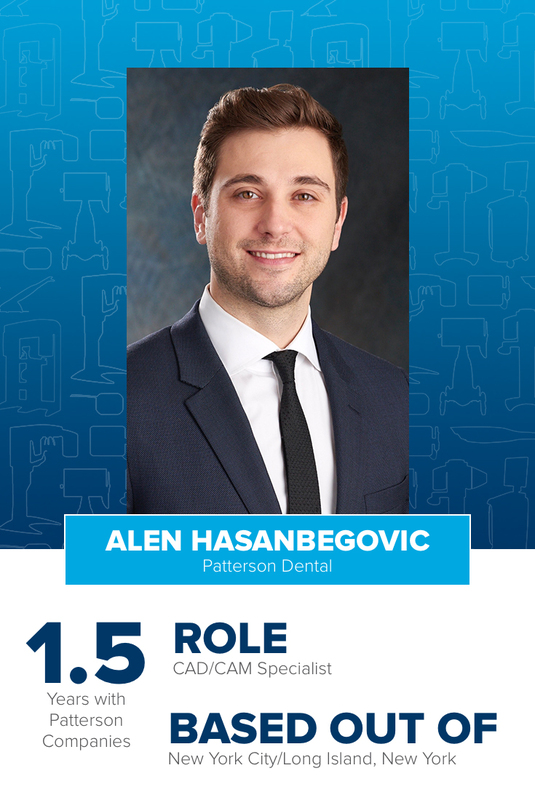 For customers looking to get into the technology, I would advise them to lean on a CAD/CAM specialist like me as a consultant who will listen to all of their wants and needs, so that they can discover the best CAD/CAM solution for their specific practice. I would also advise not waiting until the last week of the calendar year to make a decision, based on what their accountant may advise. Have those meetings in November so the process of ordering, installation, and integration, can go through smoothly. For existing customers, I recommended they continue their education through advanced training courses, and reach out to other users to build their own support system! I also highly recommend that doctors delegate this technology as much as possible to the dental assistants, to maximize the efficiency the technology brings to their practice. My favorite part of the job is following up with customers who have recently purchased equipment/technology, and seeing their joy and excitement! I must give credit for much of this to the Patterson Technology Advisors (shout-out to Erica Bernardo! ), who are committed and diligent in providing our customers with the proper training. I believe the sale is not complete until the customer finishes their training and personally accepts that the technology he or she has invested in will be fully incorporated into the practice. This is the most important part of the process, because when this happens, it is a win for everyone – including the patient in the chair! 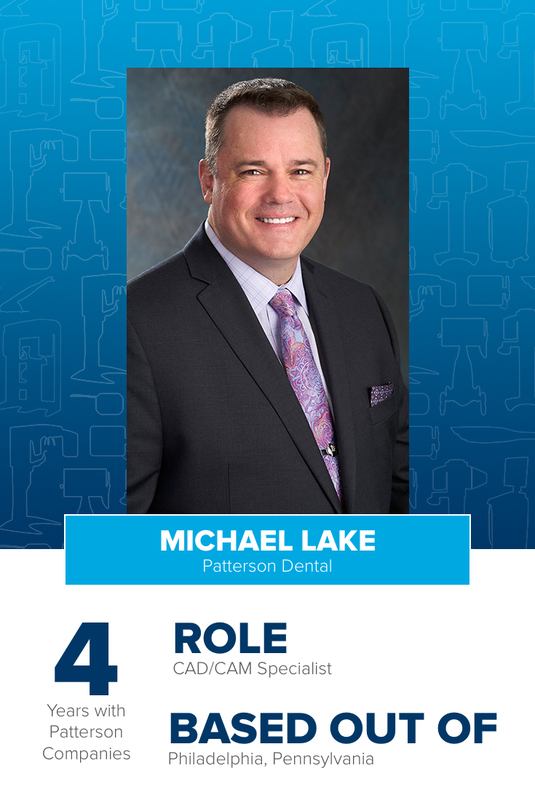 Before coming on board with Patterson, I practiced chairside with CAD/CAM for over 15 years and taught multiple Dentists and Assistants on CAD/CAM integration. In that role, as well as this one, I find it especially rewarding to help implement technology that not only increases the “fun factor” for practitioners, but supplies an exceptional patient experience. Don’t be afraid to have FUN with this technology! CAD/CAM will be your biggest marketing piece and encourage strong patient to patient referrals. Every practice is different and no one shares the same practice goals. I am grateful for the opportunity to be included in deciding what is right for my customers and their patients. Utilizing technology to educate the patient ultimately results in happy Dentists and Team Members! I also love that my flexible schedule allows me to fill my time outside of work with the things I love most – my family, my animals, cycling, and the outdoors. In the arena of CAD/CAM Dentistry, never stop learning. Go to a CAD/CAM advance course at least once a year and stay engaged in this technology. It moves so fast, so keep finger on the pulse and you’ll never miss a beat. 3D printing is making a grand entrance into General Dentistry, making the dental practice more productive and efficient than ever. We have reduced the use of impression materials with Digital Impressions, and 3D Printing reduces the use of stone by creating physical models which evolve from digital impressions. This technology is clean, extremely accurate, and versatile! I’m always challenged. I learn something from everyone within Patterson, as well as from our customers. Patterson creates a real sense of belonging, and being a part of that “inner circle” creates trust and honesty, which promotes productivity. Use your system as much as possible – you didn’t purchase it for decoration! When you are a new user, practice scanning on staff when you don’t have a patient scheduled. Take the time to watch online learning videos and join a local study group to be able to work with other users to continue to learn and improve. And of course, always give us a call at the PTC when you need help! I love getting to know our customers. And I especially love it when we can help make their jobs easier and make their and their patients’ days better by getting them the help they need quickly. We are in a time where we have SO many technology options that provide faster and better solutions, and they’re all designed to be economically beneficial. So there really is a specific solution for everyone. The products we sell are tools that were designed to be supported and properly integrated into the practice. If proper education and support is not provided (the way Patterson is known to support! ), then these products don’t stand a chance and won’t be utilized to their fullest extent. Being able to get a phone call 6 months after a sale from someone that “never wanted to go digital,” asking for advice on how to approach an extremely difficult case. To me, it shows the huge progress they have made, and the great places they are headed. See what we mean about consistent themes? Each of these individuals believes in the transformative power of technology that occurs when a practice discovers and embraces its tailored tech solution. (That, and prioritizing continuing education! 😉) Have you met your local CAD/CAM specialist? 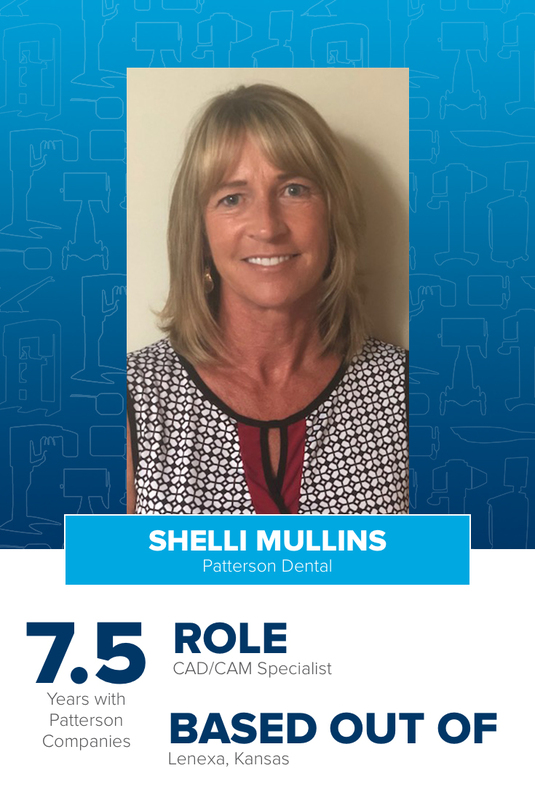 We happen to know that they’re just as passionate about helping your practice reach its full potential, as the people profiled above. Get in touch with your territory representative and set up a meeting! To learn about all of our CAD/CAM solutions and the benefits they can bring to your practice, visit us online. 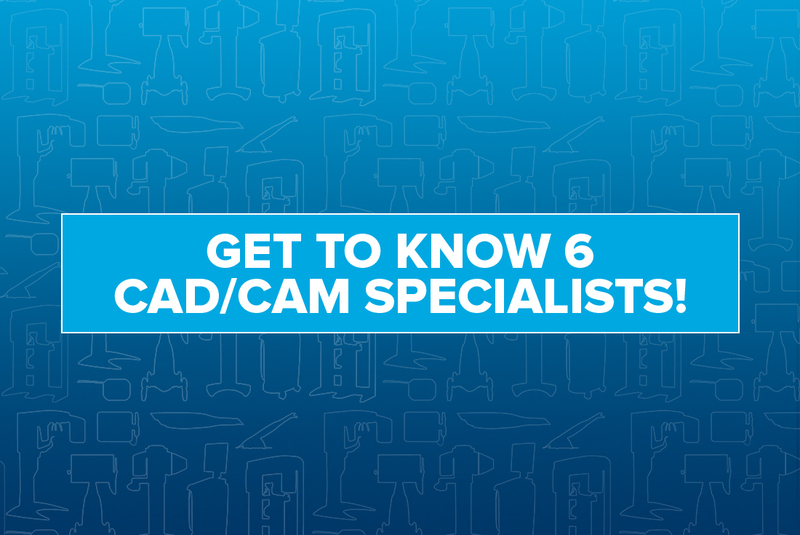 If you’d be interested in receiving more CAD/CAM-related tips from our specialists, let us know in the comments below!